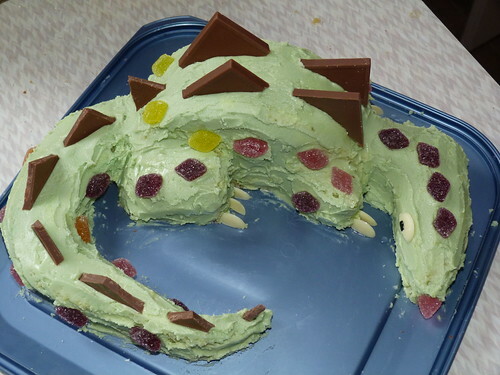 Dinosaur Cake, a photo by graham_h_miller on Flickr. I made and decorated this cake with a bit of help from my six year old. It was meant to be a test but it came out so well it’s now in the freezer waiting for the three year old’s birthday party!